Looking for a New Business Card? Why Not Choose Gladstone Printing? Your business card is a client’s first impression of your organization. It needs to look professional, stand out, and act as a marketing tool for your business. For its cost and size, it is perhaps the most powerful of your marketing tools. Whether you are starting a new business, making changes to your business card design or ordering additional cards, Gladstone Printing can help. We have a personal, friendly approach and will create a business card that conveys a professional image while being unique, creative and eye-catching. We can provide custom print services for as few as 50 business cards – great for if you are just getting started. Alternatively, we can use large format printing to produce large quantities of cards. Our promotional printing technology ensures a superb finish. We do both single or double-sided business cards. We focus on quality. At each step of the promotional printing process, our quality assurance checks are undertaken to quality management system ISO9001:2015 standards. 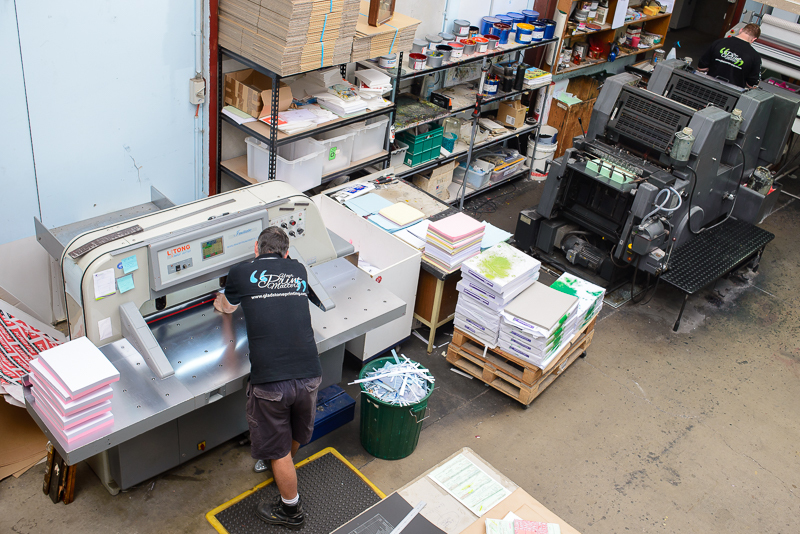 Our friendly employees are experts in the printing industry and continually receive updated training to provide the best service and results for our clients. We are here to help you every step of the way. We are happy to sit with you and discuss the design of your business card and the paper that it will be printed on. We take into account color, imagery, your brand, and layout. We have many different options in relation to size and style and will work with you to design a card that exceeds your expectations. In a hurry? We can often do same day delivery. We will come in on time and on budget each and every time. A business card is designed to get you new business. Our cards will certainly stand out from your competition and convey a professional image that will get you noticed. We provide a variety of printing options including large format printing and custom print services. To discuss your business card requirements, or if you have any design questions contact our friendly team!